I admit it. I can be a little "Rain Man" at times. I need things to be a certain way, for things to have balance and to make sense. 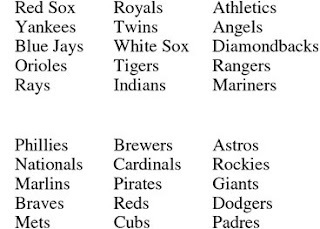 Which I why I can't understand why the American League has 14 teams and the National League has 16. It just doesn't make sense. And what's worse, with all this "balanced scheduling" the MLB has been pushing, it makes even less sense. Look, the NL Central has six teams. The AL West has 4. How is that balanced? If the AL West is weak one year, and say the Mariners are the only decent team, that would mean they get something like 57 games, or a third of its schedule, to pad its record against weaker opponents and get to the playoffs. A fifth team would mean more competition and more balance. The opposite is the case in 6 division NL, who constantly beat up on each other. It just isn't fair. I understand, nothing is ever going to be completely fair and balanced, but at least MLB can try to make sense. It's been this way for a decade now, (since Tampa joined the AL East and moved Detroit to the Central) and—this is the part that drives me nuts—it wouldn't be that hard to fix. Admittedly, a couple of teams would have to move and reforge rivalries, but on the whole, my plan to give the leagues balance is fair and not very traumatic to the teams involved. The first part of the plan would be to take Arizona and move them to the AL West. Somebody from the National League has to move to the American League, and they make the most sense. They are in the west, close to Anaheim and all the West coast teams. They don't have the history of St. Louis or the Cubs, so moving them won't disrupt traditions. And you sure as heck can't move the Rockies to the AL. With Big Papi or Frank Thomas and all the other DHs, the games would take 7 hours and end up looking like Nuggets scores. The second and final part of the plan is to move the Houston Astros to the NL West. Again, The Astros don't have a huge rivalry with the Reds or the Pirates, so moving them isn't like moving the Red Sox to the NL West. I'd imagine some in the Astros organization wouldn't like the traveling the Astros would have to do, but really, their AL Texas counterparts have it worse than them. I mean, traveling to Colorado or LA isn't really all that different than traveling from Houston to Pittsburgh or Milwaukee. 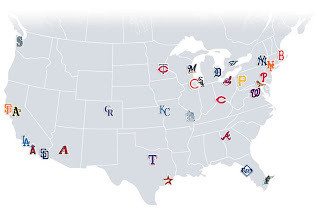 Check out this map I got from sportsline.com. The Astros really would be doing the same traveling they already do. And unlike the Rangers, the Astros wouldn't have to travel to Seattle. Really, Denver isn't as bad as that. And there it is. We have balance. It makes geographical sense, it maintains rivalries. All is well. And since it makes sense, or course it'll never happen. Not that it really matters all that much. But, if you'll excuse me, I gotta go. 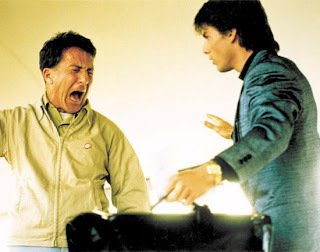 Three minutes to Wapner.